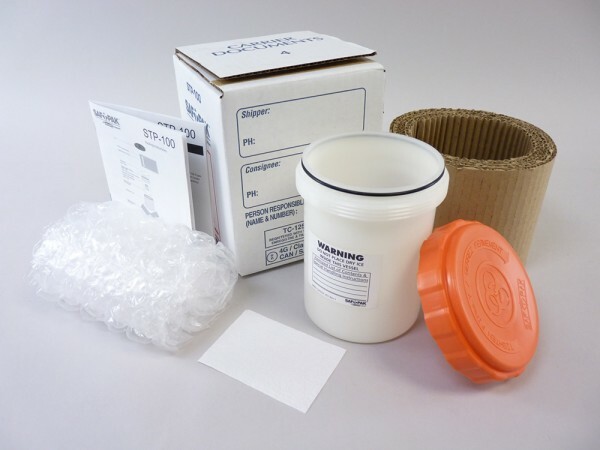 The ambient transport system for blood and urine tube transport includes: 1.25 L polypropylene canister with lid (4.1″ diameter x 6” height), fiberboard retaining coil, 6 x 10” bubble wrap, 50 mL absorbent sheet, instruction sheet, and outer box with preprinted UN2814 Infectious Substances (Category A) markings (OD: 6.5 x 6.5 x 8″). Reusable polypropylene secondary pressure canister is autoclavable and holds up to ten 10mL tubes or fifty-seven 2mL tubes. Please note quantities over 50 mL require additional absorbent and a Cargo Aircraft Only label. Choosing the right packaging is essential to ensure compliance with all regulations and safely deliver your clinical specimens to their destinations. 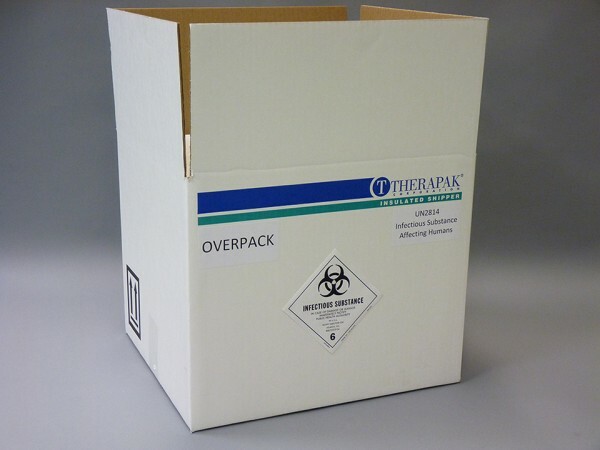 Therapak has a variety of packaging to ship infectious specimens. Systems meet international guidelines and shipping requirements including IATA and ICAO requirements. For specimens requiring ambient specimen protection order the Category A Ambient – 95kPa Canister, 10-Tube 563208 above. If your shipping conditions require refrigerated specimen protection on refrigerant packs, order the Category A Ambient – 95kPa Canister, 10-Tube 563208 and the Overpack system 53212 below. Note: Shipping system 563208 will be placed inside Overpack 53212 for refrigerated shipment.